As a kid, I remember my dad's verbatim "Health is Wealth". He also use to say "When Health is lost, something is lost". As soon as I saw this topic, I did not wait even for a second before I went ahead to grasp it. As a die-heart Ashwin Sanghi fan who has read all his books till date, I knew that the content is going to be an amazing one, yet again. The book did exceed my expectations, once again. There are few things for this phenomenon - Firstly, it is Ashwin Sanghi and secondly, he ropes in the best name in the business. So, there is no question of going wrong, whatsoever. How many would openly admit that they had bad habits/lifestyle? 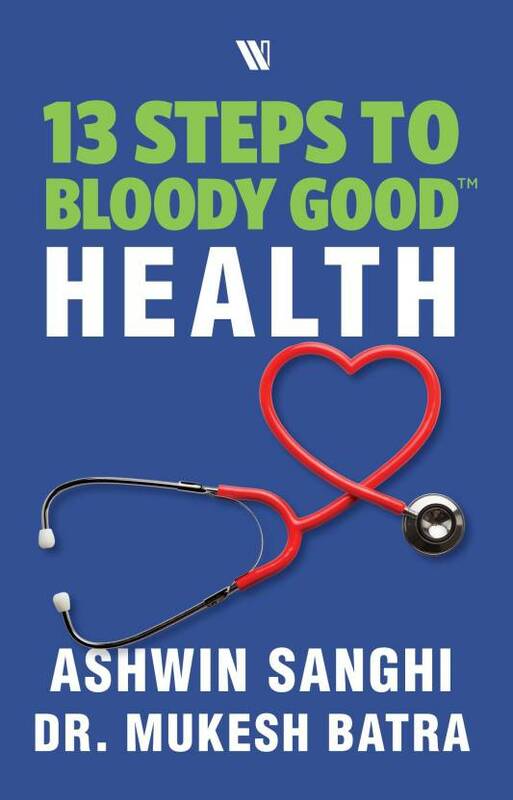 Ashwin Sanghi openly admitted in the very beginning of the book. There is a small deviation in the content though - This book has a total of 14 Steps. The book talks in great detail about Sleep, Hydrate, Nourish, Move, Digest, Alkalise, Breathe, Supplement, Love, Prevent, Moderate, Relax, Rejoice and Materialise. What is more appealing is the usage of real life case studies along with Key Takeaways at the end of every chapter. The usage of charts along with implementing various steps through reasonable and methodical ways would make anyone to give an attempt, even not implementing it fully. How many of us know as to why a Doctor prescribes pills which induces sleep? Why we were not allowed to talk while we eat? Why should you eat your last meal before 6:30PM? Why going Vegan is good? Benefits of deep breathing and many more making this book an interesting read. 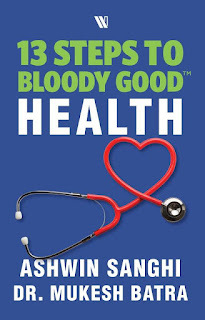 Do not forget to get your copy from any of the links given below since this book is an eye-opener for all who is either health conscious or in the process of becoming one.